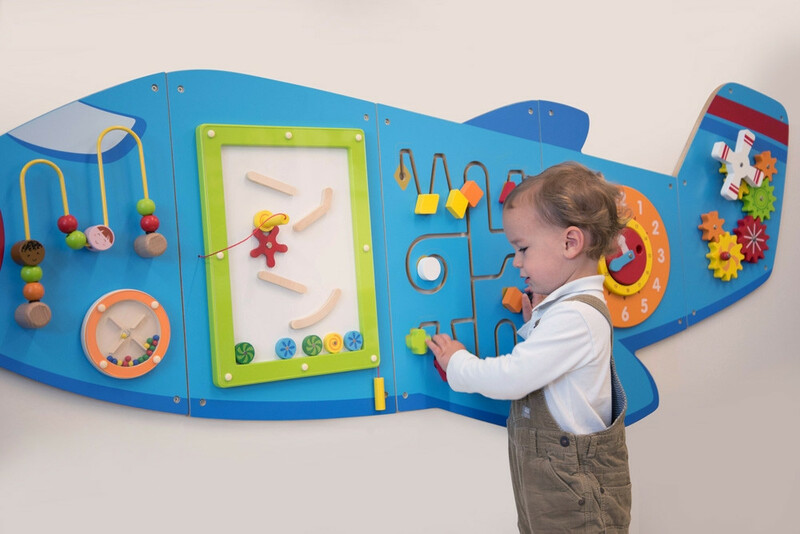 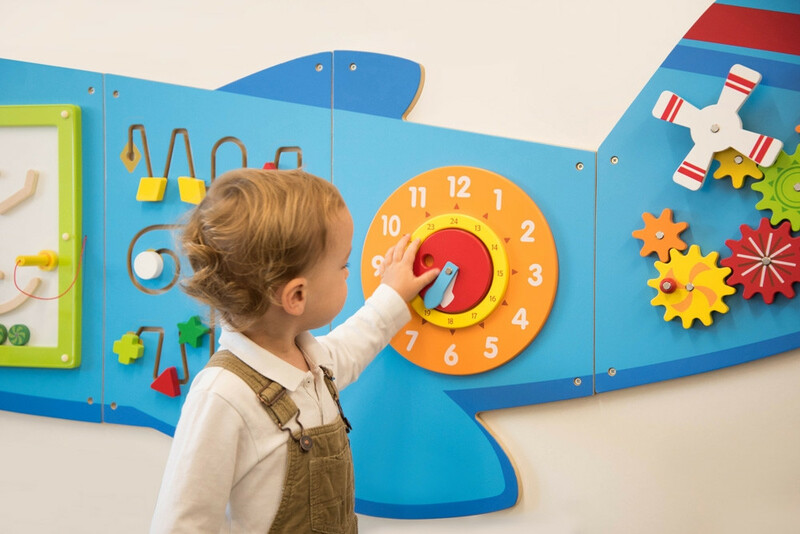 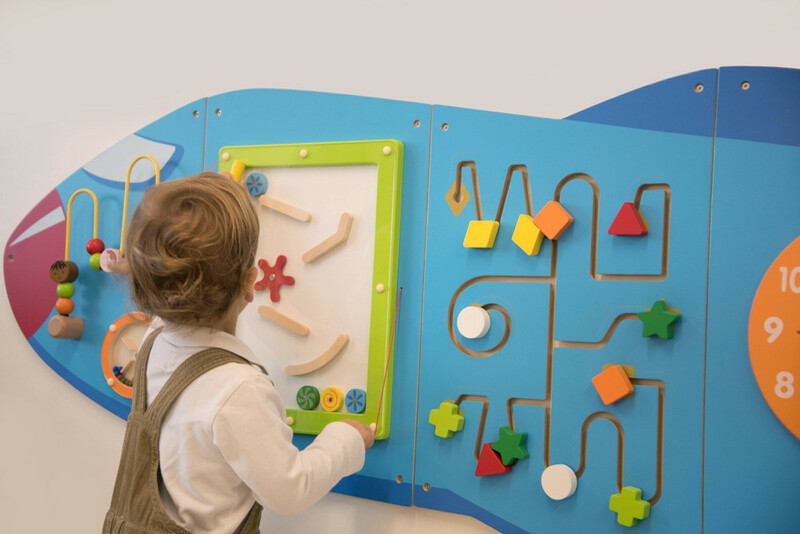 Activity wall made in five pieces, each with a different set of manipulative activities to encourage hand-eye coordination and fine motor skills including: a clock with moving hands, wire bead maze, magnetic pens, shape maze and interlocking gears. 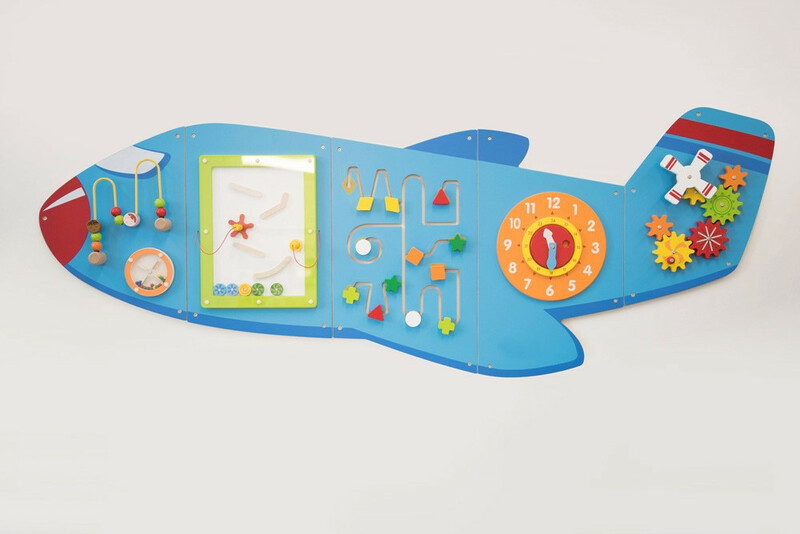 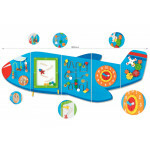 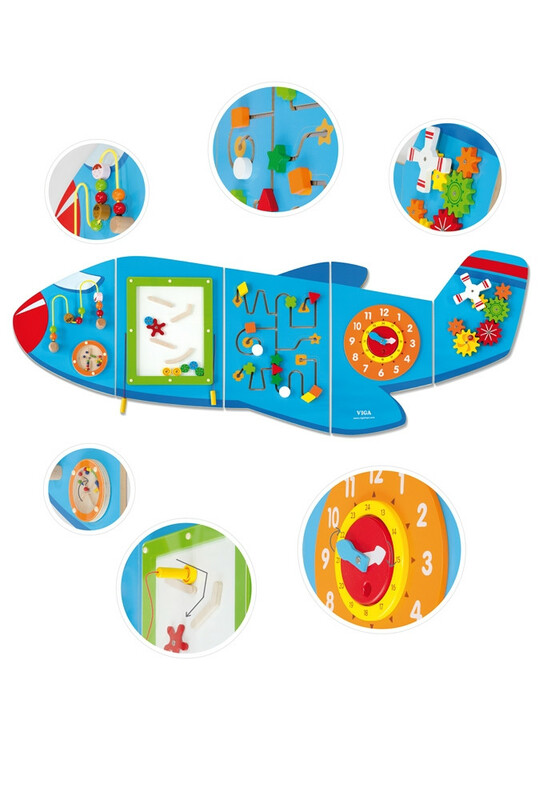 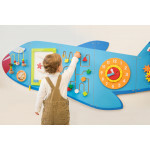 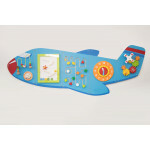 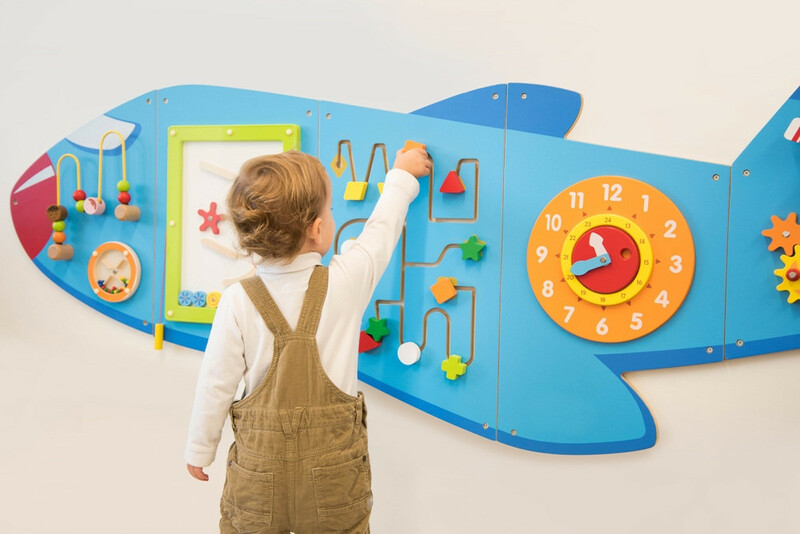 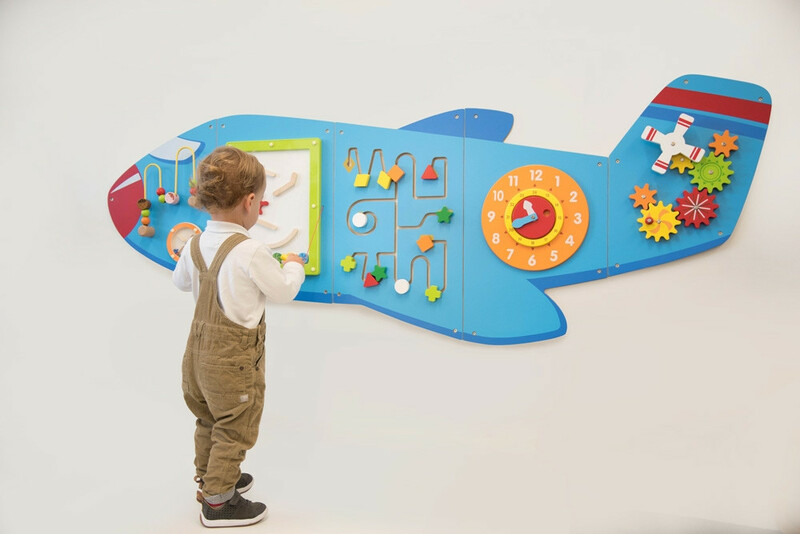 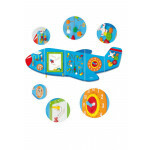 The aeroplane comes fully assembled with fixing holes and attachment screws for easy fitting to a wall. 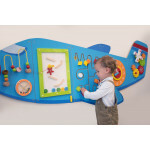 Made from MDF and recommended for indoor use only. 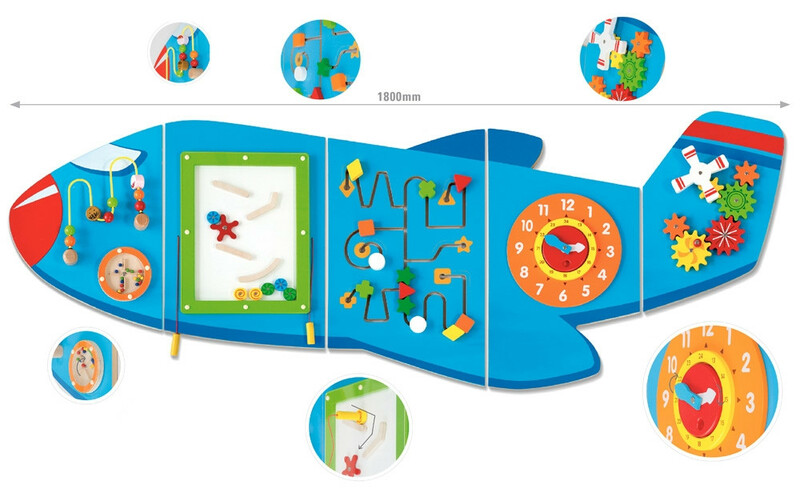 Size: 1800 x 600 x 50mm.